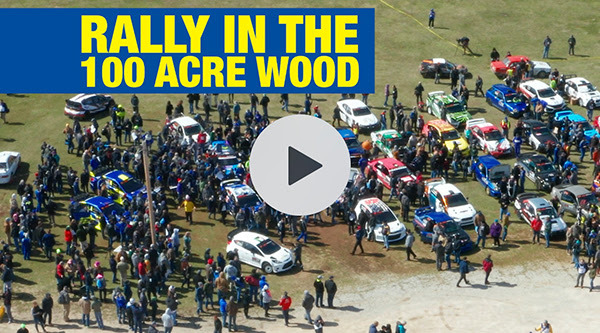 Seventeen-year old rally phenom Oliver Solbergstarted the 2019 American Rally Association (ARA) season with a bang at this weekend’s Rally in the 100 Acre Wood, driving through adversity to a strong second-place finish in his first event with Subaru Motorsports USA. 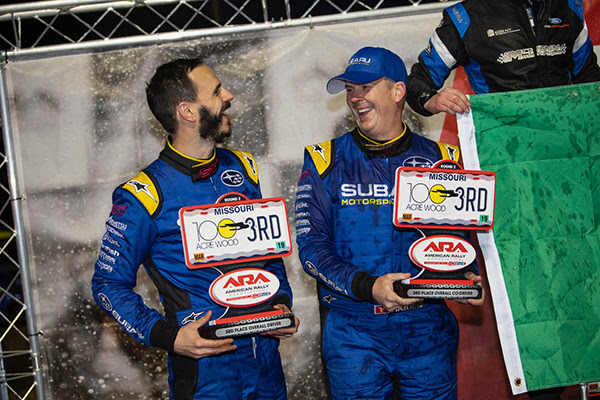 Teammates and defending ARA championsDavid Higginsand Craig Drew led for much of the rally and traded stage wins with Solberg and co-driver Aaron Johnston throughout the weekend, persevering through a late mechanical issue to secure third overall. 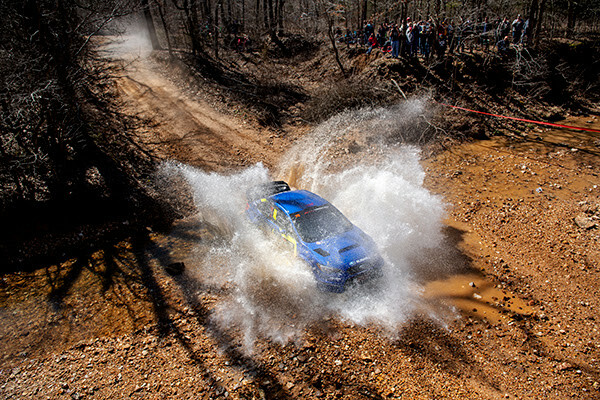 The Subaru teammates combined for thirteen stage wins out of the event’s sixteen stages. 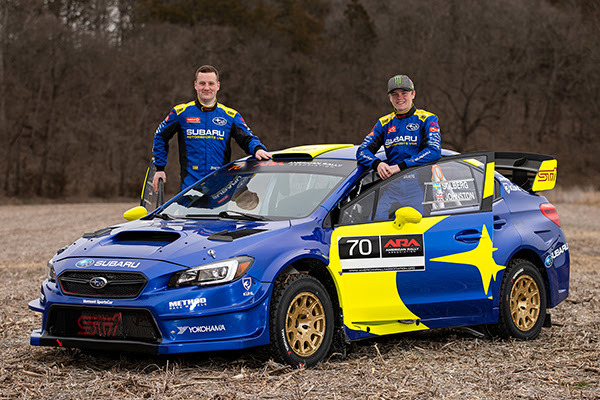 The fast, sweeping dirt roads of Missouri set the stage for Subaru Motorsports USA’s return to the legendary Subaru blue and gold competition livery – and for the first round of Higgins and Drew’s defense of their 2018 title. True to his usual form, Higgins went on attack early on Friday to win six of the opening day’s ten stages and build a 44-second lead over rival Barry McKenna. Solberg, starting his first-ever gravel rally in an all-wheel drive car, rebounded from a flat tire on Stage 7 to win the next two stages outright and finish the day comfortably in third, well within striking distance of McKenna. Hopes for a Subaru one-two finish would be frustrated on Saturday, as adversity struck both WRX STI rally cars in the early stages of the day. 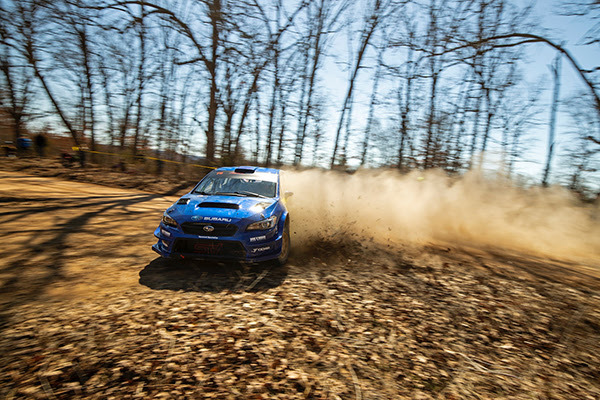 Solberg’s hood came loose on a fast, bumpy section of Stage 12, smashing his windshield as the car crested a jump at over 110 miles per hour. Despite the sudden impact, Solberg and Johnston were able to continue with only minimal delay to refasten the hood. Two stages later, Higgins and Drew’s car stopped on stage with an electrical problem that cost the duo more than five minutes. Their #75 car would drop to third, ceding first to McKenna and moving Solberg up to second. 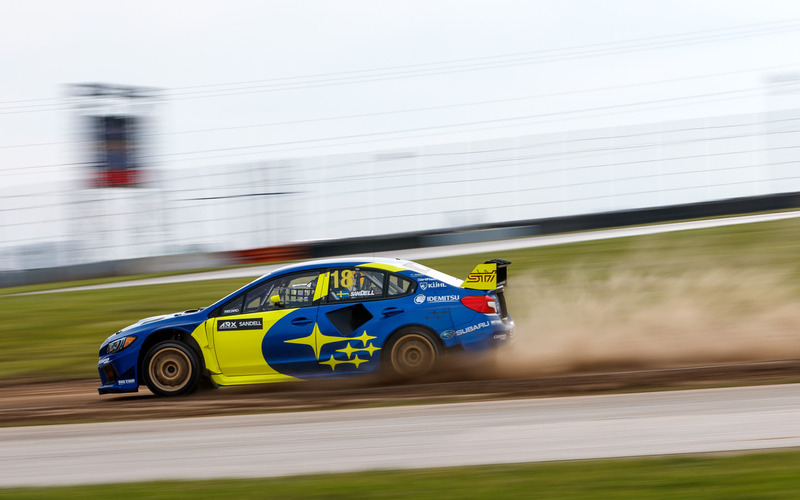 The young Swede won both of the two final stages in a frantic push to make up the 50-second gap to McKenna, but would come up just short – by an agonizing 6.8 seconds. For Higgins and Drew, Friday’s dominant performance provided some consolation for their third-place finish – unfamiliar territory for a pair accustomed to finishing atop the podium. Higgins/Drew and Solberg/Johnston will go head-to-head again at Washington state’s Olympus Rally, to be held April 27-28. 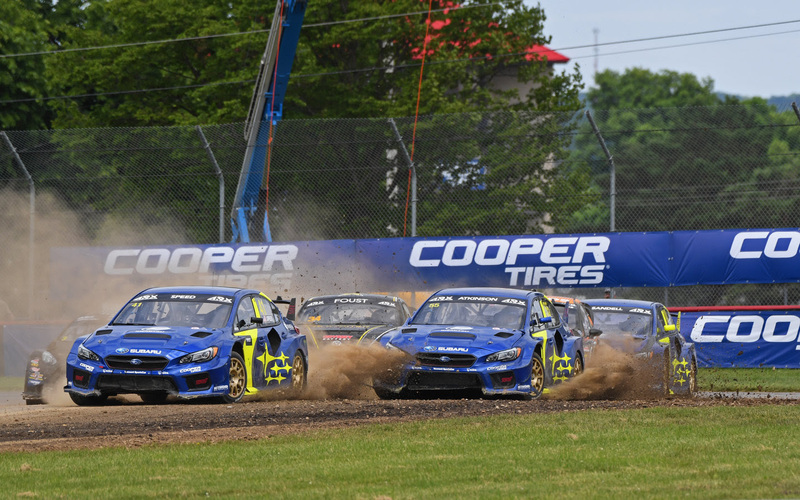 Follow Subaru Motorsports USA on Instagram @srtusa, on Twitter @srtusa, and on Facebook. ARE YOU READY TO SCRAMBLE? Glen Helen – Your “Holeshot News” For The Week!